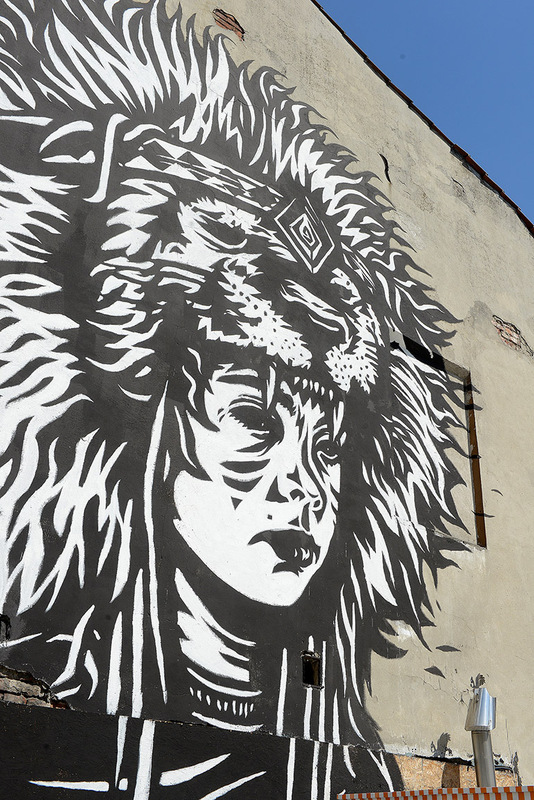 no-image, Will Kraków Become the New Global Street Art Capital? World media outlets report of street art that places Poland among the global centres of urban art, and Kraków has lately begun to be claimed a serious street art hotspot. Until recently, street art was an underground phenomenon, often considered vandalism. A couple of years ago, the art of the streets became a topic of debate for historians and art critics. Presented in leading world museums and galleries, it has become mainstream current in the art world. 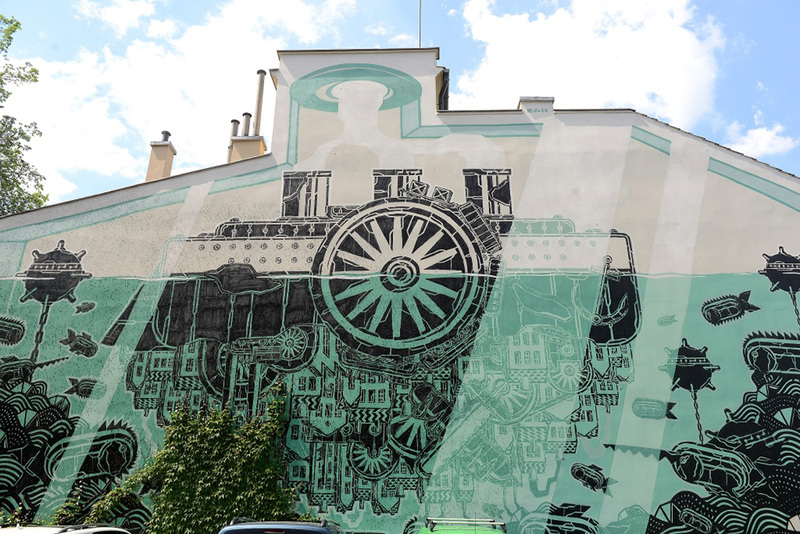 Polish street art is considered exemplary on a global scale. World media outlets are writing about it -- At the beginning of 2014, CNN produced a series called Bigger than Banksy about murals from Łódź. The city is renowned for large format works made by leading world street artists, Boredpanda.com even ranked Łódź second behind New York for its street art. Competition in Poland and Europe to be the capital of urban art is heating up, with Kraków now joining the ranks of competitors. Free guided tours on golf carts around Krakow's murals are organised by Galeria Krakowska in cooperation with the City Office and the Krakow Biuro Festiwale. They take place every Saturday between 11am and 2pm. Registration: szlakmurali.mallwallart.com. 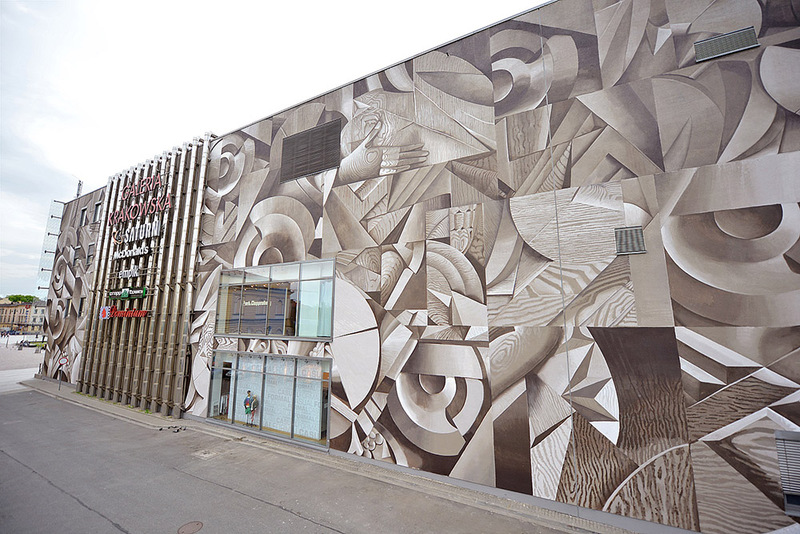 One of the biggest murals in Europe and winner of the 2013 Mall Wall Art competition. Justyna Posiecz-Polkowska is a representative of the Gdańsk Mural School -- an independent platform aiming at creating socially and politically engaged art which corresponds to current events. Posiecz-Polkowska draws inspiration from Polish art and boldly transforms it. On the wall of the Galeria Krakowska (a shopping mall), she brings back the memory of reliefs by Jan Szczepkowski, a famous sculptor from the turn of the 20th century. Tetris and Mayan hieroglyphs in one. The signs and symbols come from the inscriptions at Tortuguero that predict the end of the world in 2012, as was foreseen by the Maya. 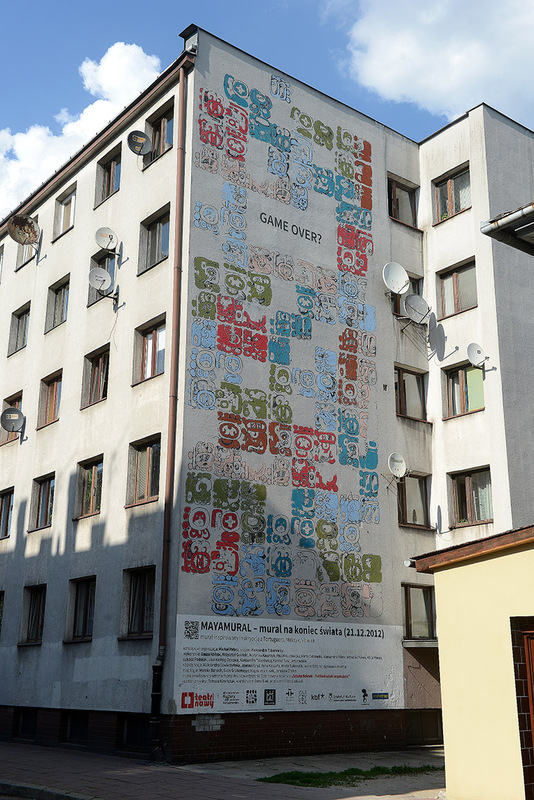 The mural on Józefińska 24 was created by the Mayamural group (Aleksander Toborowicz and Artur Wabik) – winners of the prestigious 2012 European Design Award. M-city created a mural on the side wall of Józef Mehoffer's House (Dom Józefa Mehoffera) on Krupnicza 26. The allegorical mural presents Krakow as a city/steamboat which floats on the waters of a gigantic aquarium. Mariusz "M-City" Waras is currently the most recognised Polish street artist. His works are on the walls of Berlin, Paris, Jakarta, Sao Paulo, New York and London. The mural M-city 658 was created as part of the ArtBoom Festival. On the corner of Kupa and Nowa street is the work of leading street artist Nawer and the Monstfur duo from Częstochowa. 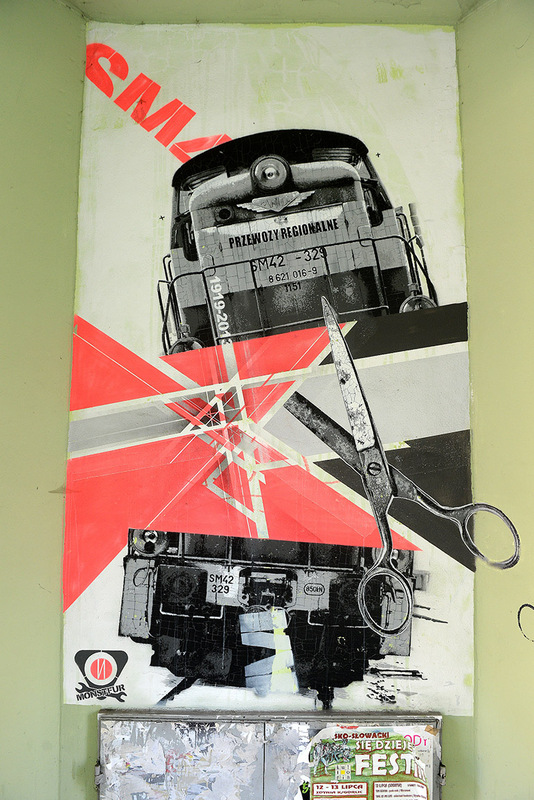 It brings together two styles – "graffuturism" based on geometrical lines in contrasting colors, and monochromatic elements by Monstfur which allude to the motive of decay. 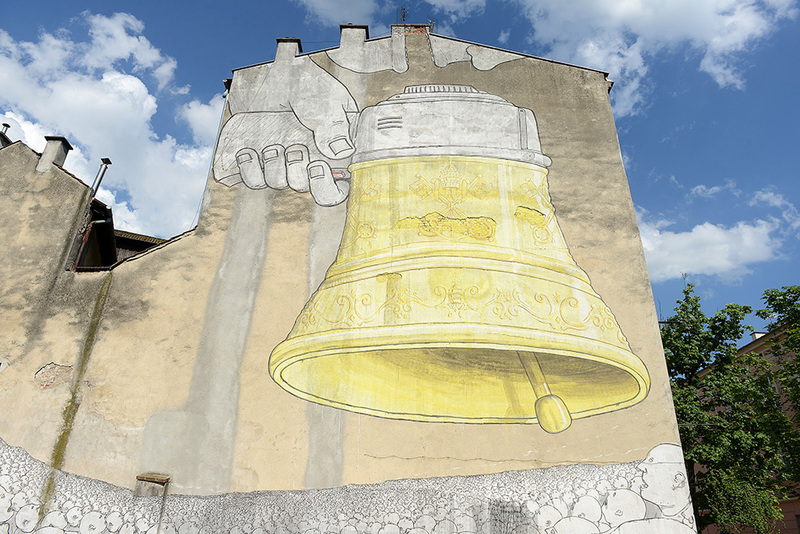 His murals can be found all around the world, but during the Krakow ArtBoom Festival, Italian artist Blu was commissioned to create work on the corner of Józefińska and Piwna streets. Ding Dong Dumb illustrates the influence of the church on society. The pope is preaching to an anonymous crowd through a giant megaphone in the shape of a bell. Pil Peled, a Israeli artist, not only creates murals but CD covers and drawings for clothing collections. His work can be easily recognised -- he uses just black and white. 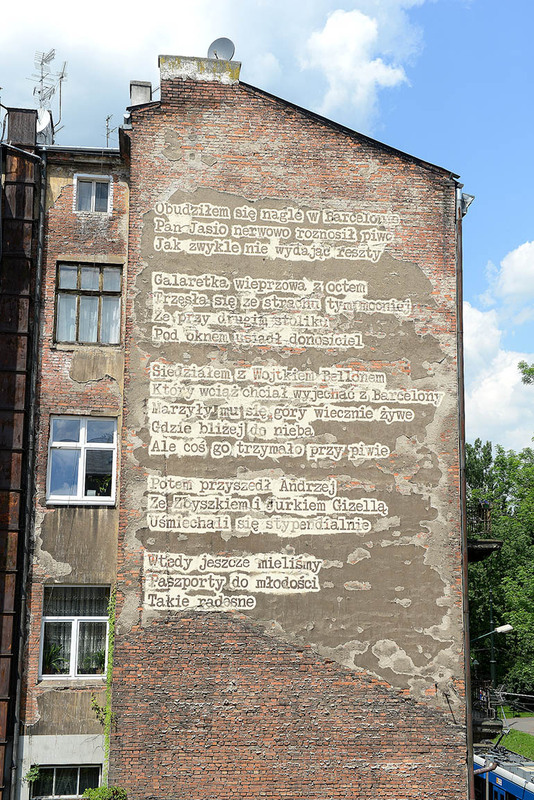 Yehuda was drawn on the corner of Wąska and Św. Wawrzyńca streets in Krakow's Jewish quarter. It represents the biblical figure the Lion of Judah. The monochromatic work evokes the history of the Jewish nation and reminds of the past of the historical quarter. The mural was made during the 23rd Jewish Culture Festival. Barcelona was created by Bartolomeo Koczenasz where Barcelona, a bar and meeting place for Krakow artists and intellectuals, once stood (corner of Straszewskiego and Piłsudskiego streets). The text and large format photograph of the building was inspired by the history of the bar and a poem by Adam Ziemian. The work came into being during the ArtBoom Festival.